Following is a summary of current sports news briefs. MLB roundup: Nats walk off to hand Phillies first loss Jake Noll&apos;s bases-loaded walk with no outs in the bottom of the ninth gave the Washington Nationals a 9-8 victory over the Philadelphia Phillies on Wednesday. David Robertson (0-1) gave up a leadoff single to Anthony Rendon, then walked Juan Soto and Ryan Zimmerman before Noll took ball four on a 3-2 pitch. Phillies fans had one big complaint about Opening Day: that Dallas looking star originally appeared on nbcsportsphiladelphia.com We won&apos;t waste a lot of your time here. Opening Day in South Philadelphia was a lovely affair. The Phillies defeated the Atlanta Braves. Bryce Harper had already won the hearts of Philadelphians everywhere when he signed a 13-year, $330 million deal with the Philadelphia Phillies. Harper went on Philly sports talk station WIP on Tuesday, and it didn&apos;t take long for New Jersey native (and die hard Philadelphia Eagles fan) Mike Trout to come up. Trout and his impending free agency are going to be talked about in Philadelphia for the next two years, but Harper wanted fans to know that they&apos;re not the only ones who want Trout on the Phillies. 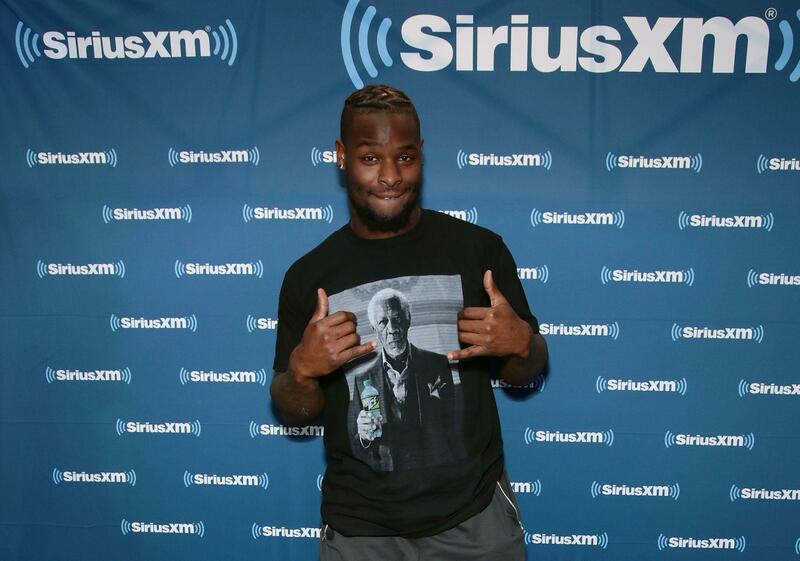 In his first act for Philly, is Bryce Harper recruiting Le’Veon Bell to the Eagles? Outfielder Bryce Harper agreed to a 13-year, $330 million mega-deal with the Philadelphia Phillies on Thursday. The signing meant an immediate boost to Phillies&apos; ticket sales, but could it also be a boon to the Philadelphia Eagles? On Thursday night, soon-to-be free agent Le&apos;Veon Bell posted a screen grab from the feed @imvar on his Instagram stories. Posted in Philadelphia Eagles, Philadelphia Phillies | Comments Off on In his first act for Philly, is Bryce Harper recruiting Le’Veon Bell to the Eagles? 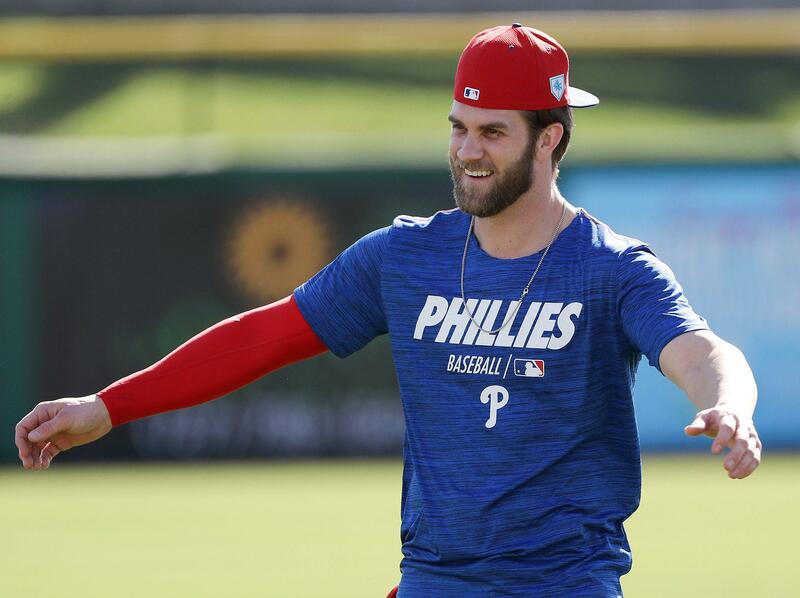 Social media erupts in reaction to Bryce Harper coming to Phillies originally appeared on nbcsportsphiladelphia.com On Day 117, it finally happened. Bryce Harper is a member of the Philadelphia Phillies. We have all been taken on a wild ride this offseason, from internet speculation to fake news, from stalking Instagram to tracking flights. Bryce Harper and Manny Machado, just pick a team already originally appeared on nbcsportsphiladelphia.com I&apos;m tired of it. You&apos;re tired of it. Major League Baseball players are tired of it. Manny Machado, baseball’s perhaps soon-to-be $300 million dollar man, continued his tour of free agent suitors on Thursday, rolling up to Citizens Bank Park to meet with Philadelphia Phillies. The Phillies, like the New York Yankees on Wednesday and the Chicago White Sox on Monday, are the favorites to nab Machado on the open market and pay a pretty penny to do so. While the other visits this week were pretty tame in terms of local flavor, leave it to Philly sports fans to inject themselves into the Machado sweepstakes. You are currently browsing the archives for the Philadelphia Phillies category.